I am on the Round Table on Bradford Community Broadcasting at 12.00. There is a listen live button on the page the link goes to. I have not posted any normal blogs for a good while because I am busy with the shows, not just the 3 this weekend, but also a possible pop-up in Clerkenwell for St. Walburgas. The weather forecast for the walk on Saturday is not good, but at least there are plenty of stops, so I may be doing most of the talking indoors and getting the group as quickly as comfortable to the next shelter and food. I will do the walk even if there are just 2 of us. 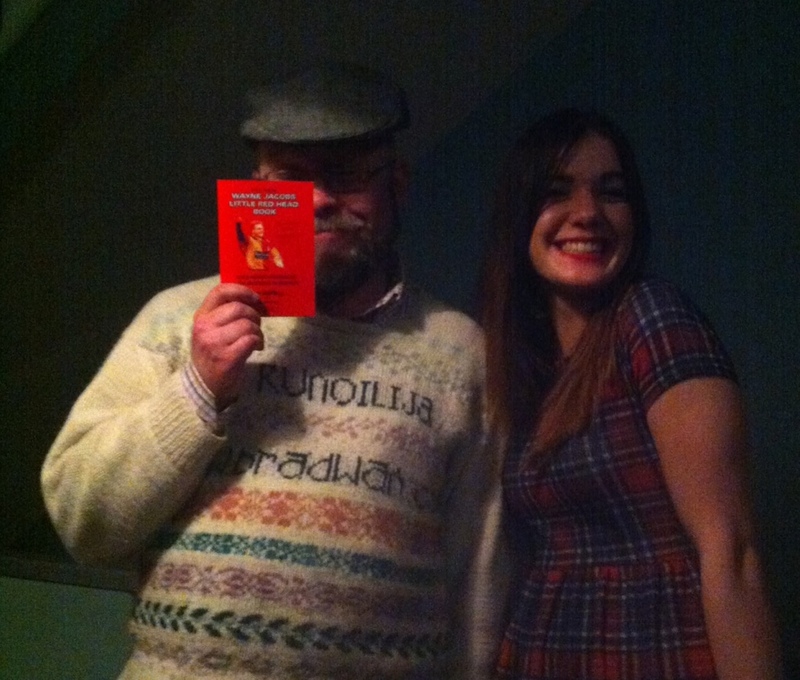 I did not blog about the Burns Night, which is a bit daft. I might add a bit to the picture if I’ve time for a few deep breaths. 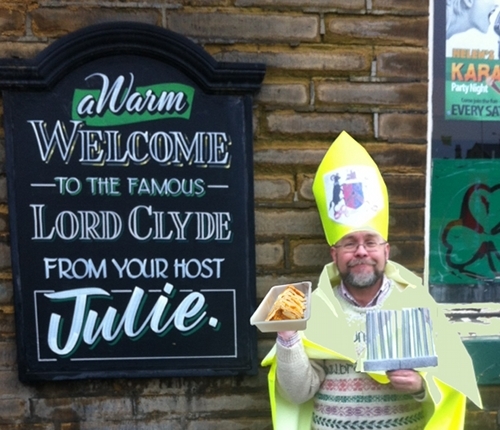 Pie Poetry & Proud of Bradford Show just £4 in advance! The list of the 1825 Bishop Blaise procession in Bradford. Below is a painting of the 1811 Blaise procession. Me and Natalie at Sparrow after I had done Burns’ Bonny Wee Thing.